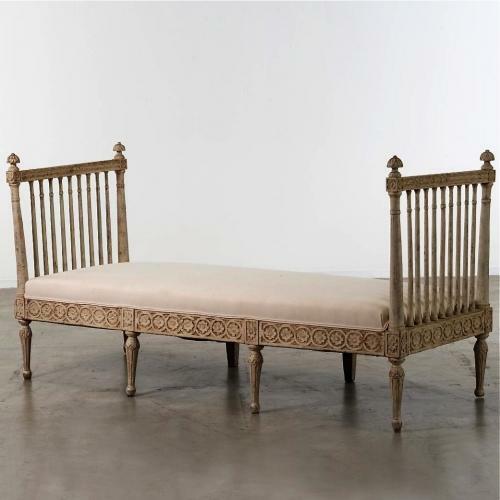 A rare and beautifully carved period Gustavian sofa bench, or daybed. This incredible piece of 18th century Swedish design would make a stunning statement in any reception room, hallway or bedroom, and would provide useful additional seating. It would also work well in a large bay window. Recovered in a neutral fabric to suit most colour schemes, it could also be recovered in a fabric of your choice. Circa 1780 - 1800 with early paint refreshed.